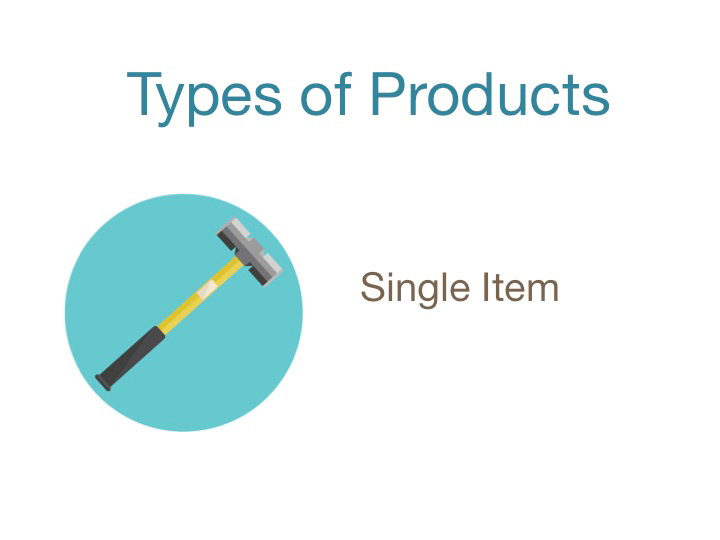 A Product can be a single item, like a hammer. 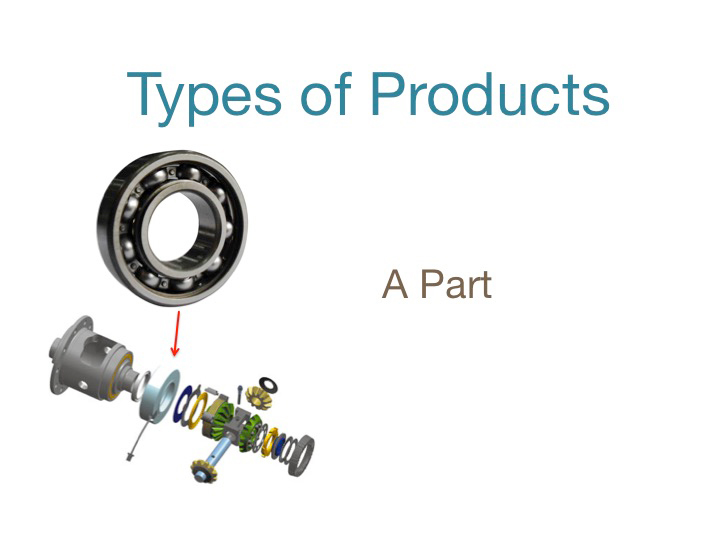 It can be a part like a ball bearing, which can be used in combination with other parts in a machine. 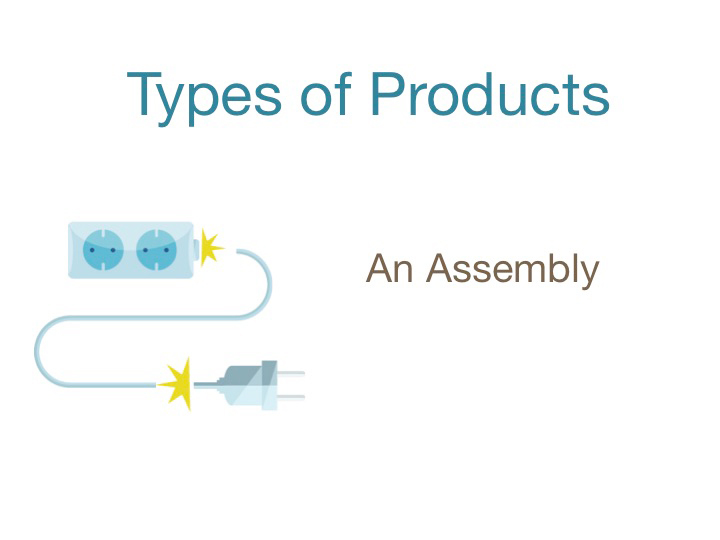 A Products can be an assembly, like an extension cord, which is made up of a male plug and a female plug and a length of electrical cable. 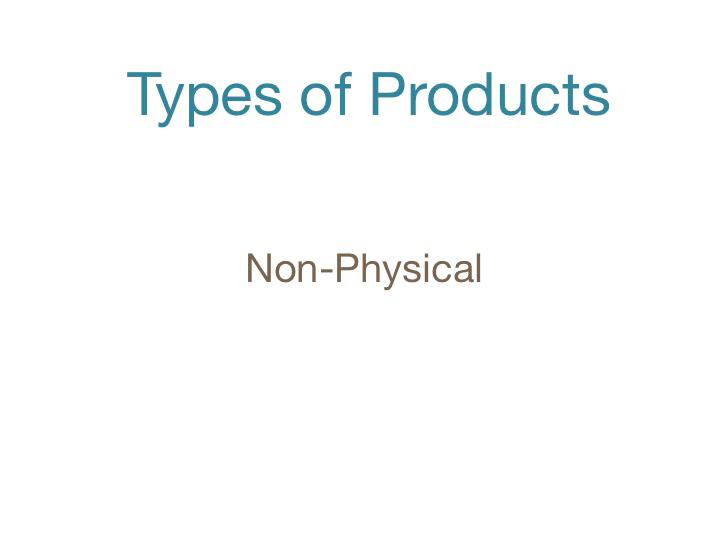 A Product can be entirely non-physical, like a piece of software, or a service, or a room that is rented out.